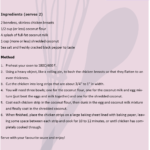 A quick easy way to cook chicken and one that should go down well with the kids as well as the grown ups. This would go well with the Mango Salsa, sliced avocado and your choice of salad or green beans with some new potatoes on the side buttered (if you eat dairy) or dressed with Olive Oil (if you’re dairy free). 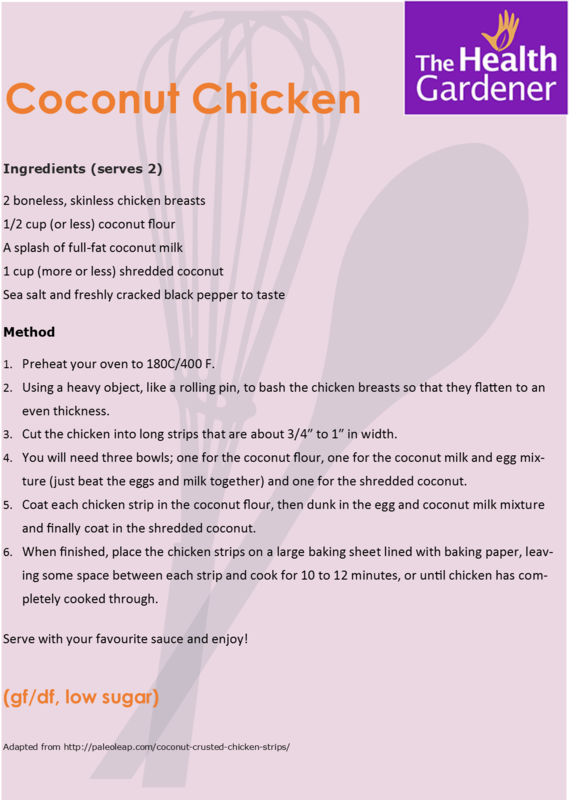 This is also an easy recipe for the kids to have a go at when you have a little more time.